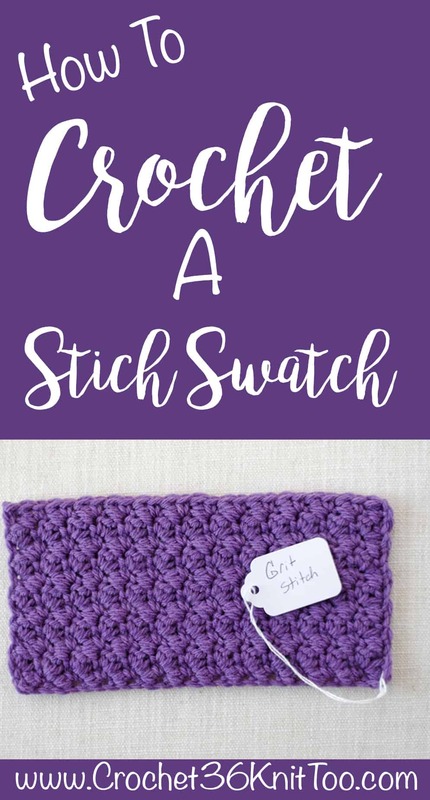 Let’s talk about how to crochet a stitch swatch and why it’s important to add stitch swatching to your crochet repertoire. My inheritance from my grandma was a few well worn crochet hooks and her bag of crochet swatches.They are like snapshots of days gone by. I remember the afghan she made mom in the 1980’s. Her “fisherman” afghan phase. All the doilies and lace. 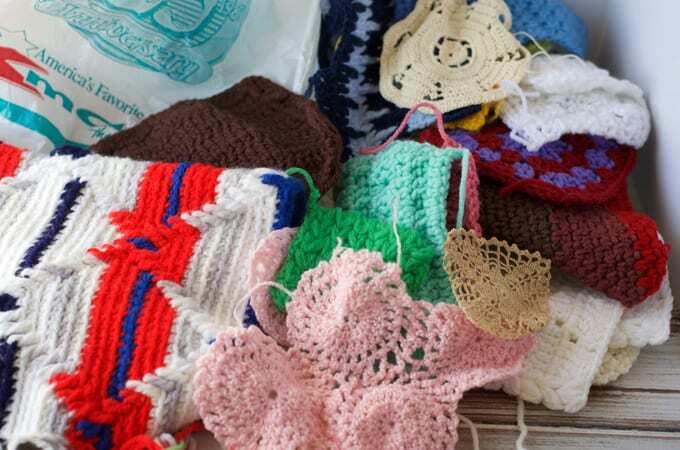 I see part of a slipper and a scrap afghan piece. And patterns here and there that I don’t remember at all. I hold them in my hands and I think of her hands working the yarn and hook. And I feel her with me, teaching me, talking to me. If you read Everything I Needed to Know I learned from Grandma, you know that Grandma’s first language was not English and she couldn’t read a written crochet pattern. But she was very gifted at looking a photo and figuring out how it was made. So for Grandma, her crochet swatches were her patterns. And when she wanted to make something, she would pull out her bag of swatches and she had everything she needed. So fast forward to today. Sure, swatches were great for a grandma would couldn’t read a crochet pattern, but are they useful for people today? You betcha! 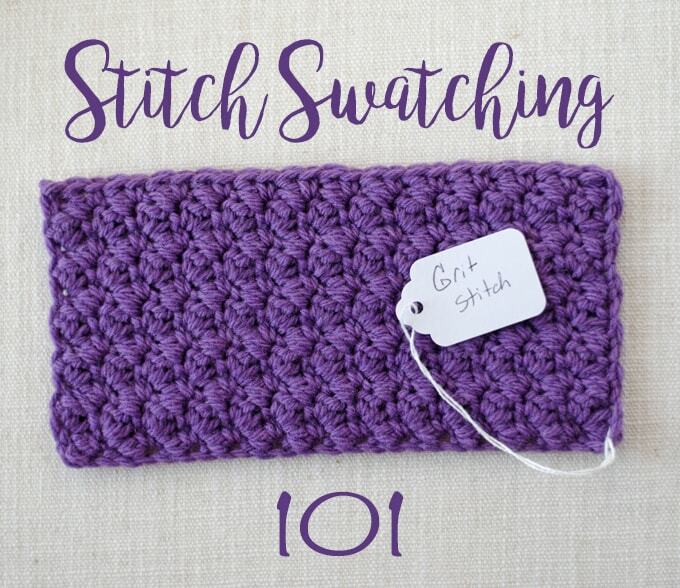 A stitch swatch is a great way to learn a new stitch pattern and to see if you like it. 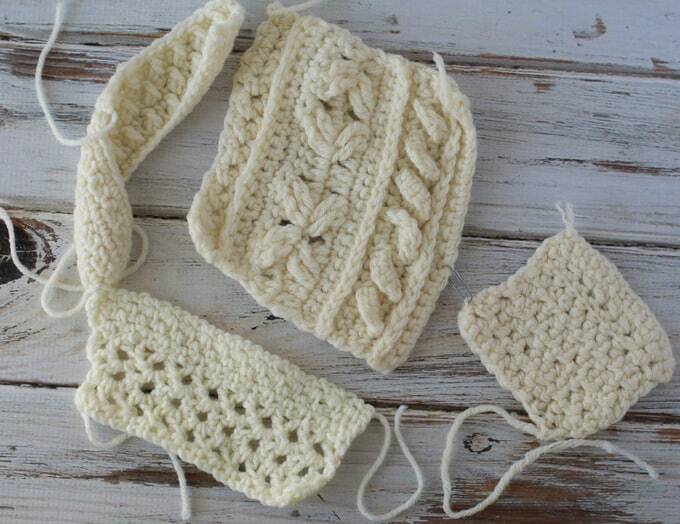 A swatch is a good way to explore new things in crochet and to develop your crochet skills. 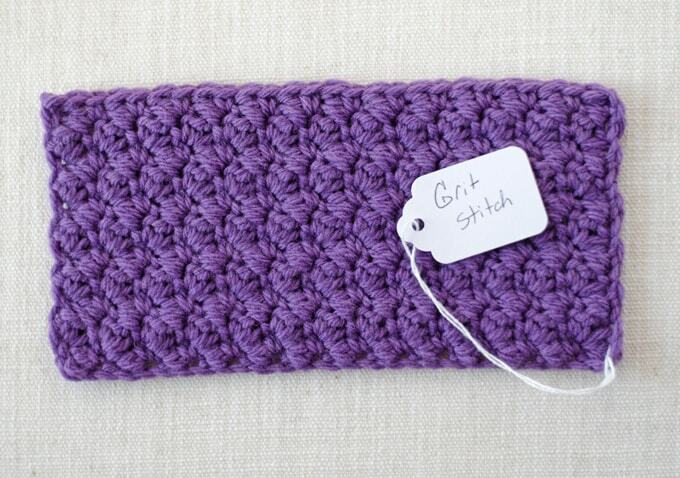 Here is the best way I’ve found to crochet a stitch swatch. Work enough of the pattern so you can see any necessary repeats and so that you can really touch and feel the finished fabric. Purchase sales hang tags. You can pick these up at the office supply store, or buy them on Amazon. On one side, write the name of the stitch. On the back side write other important information. You may want to write out the stitch pattern. Or perhaps write the source of the stitch pattern so you can find it again. Then just slip the hang tag on the swatch and you’ll have the information you need right with the swatch! Be aware that the same stitch pattern often goes by many different names. Also know that sometimes 2 completely different stitch patterns will be called the same name. I will always try to list any name variations. If I miss one, just leave a comment on that post and I will add it to the “also known as” list for that stitch. Think about where you will store your swatches. A bag, basket or small box will work fine. We will be starting the swatches soon. So pick up some hang tags so you can mark the stitch swatch when you are done. You may also want to purchase some special yarn just for your swatches. Or designate some yarn scraps for this purpose. I’m excited and I hope you are too! Let’s take our crochet to the next level! I think the idea of swatches is a fantastic idea and thank you for doing this. I’m excited to start! I’m glad you’re looking forward to swatching! I’m excited too! Wanted to time out to say thanks for sharing and teaching! Thank You for passing down your grandmother’s craft. What a wonderful gift.